It’s been a great February in Mexico as we blast through the shortest month of the year. As many of you know, we are gearing up for a crazy spring and summer filled with 3 campaign groups. Likewise, we also anticipate the possibilities of visits from our partners. We are very excited about the seed that will be sown this year, and expect to start harvesting a new group of people following the work done by these groups. As I prepare to work with five new apprentice missionary students starting in May, my teammate Shawn is gearing up for Let’s Start Talking and the arrival of a Texas youth group throughout June and July. The students I will be working with come from throughout the United States and one is even from Russia. Their arrival is very exciting to us who strongly believe that these workers will be making a big impact evangelistically for the Church here. Likewise, Let’s Start Talking and our visiting youth group look to be positive for making new contacts throughout the city. Please keep all three groups in your prayers as you consider this work. Jessica and I are very excited to say that our Visas are being processed and are just weeks away (Lord Willing) from their arrival here to us. This is exciting news as it was February 10th last year when we first made a quick run to the border to get notarized papers for our Visas. Now, twelve months and nearly two thousand dollars later, we look to actually be getting that paperwork back. The burden of Mexican legalities is finally being lifted from our shoulders, which makes for happier, less anxious missionaries. There are some really exciting things happening here that indicate to us, just how well the cultural transition is going. One indicator was that the Mexicans here threw Jessica a surprise birthday party without my initiation. It was at this moment when I realized just what an impact my wife was making in Leon. Jessica continues to grow in her Spanish and recently began teaching a new Bible study that has really challenged her. Likewise, things have been progressing nicely for me with Spanish. In our small group study, my teaching is smoother and more spo ntaneous. I can see conversations flowing much more freely and really feel that I am catching around seventy to eighty percent of what is being said. Alison and Christian seem to be growing in the culture as well. Alison’s ability to converse with the kids here is remarkable and tends to frustrate Jessica and I as we long for having the language skills of a five year old (we are getting there). Christian meanwhile has started saying a few phrases (both in English and Spanish) and seems to enjoy talking when his mouth is not obstructed with food. 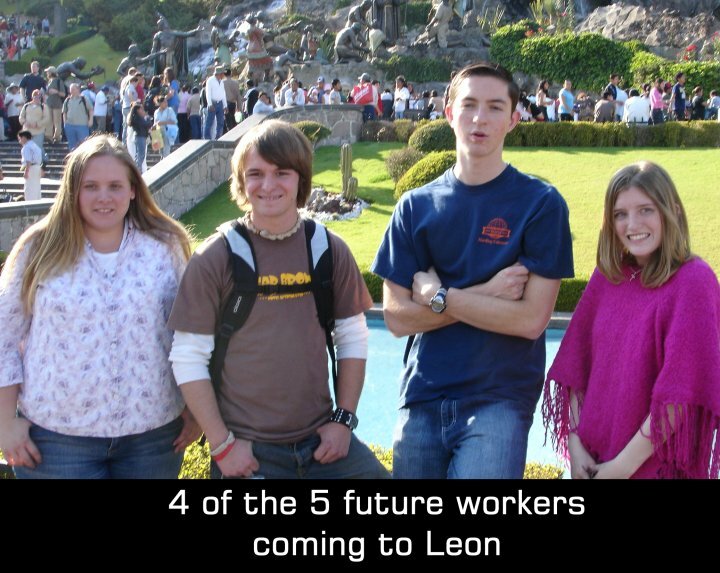 We expect Christian will move even more quickly than Alison since he has lived most of his life in Mexico now. 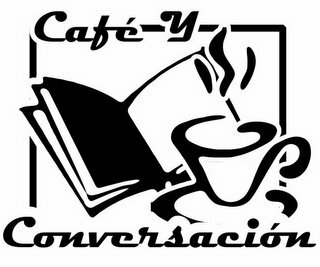 We are starting a new weekly study group in our building called “Coffee and Conversation.” The idea behind this group discussion is to create yet another chance to connect Christ with the community. As we work through study material, visitors will dialogue in a relaxing atmosphere, while enjoying a cup of coffee. We are very excited about the possibility for this time and think it will meet a need in the community that we have not been able to meet yet. In the same month that we passed 40 worshippers on Sunday, we also learned of the possibility of losing our building. As many of you know, renting a large building for worship here can cost around $700 to $2000 (U.S. dollars) each month. Over a year ago when we first heard about the possibility of having a large two-story building for $200 monthly, we jumped at the idea. However, before we decided to rent, we first needed to figure out what it would cost upfront to “fix-up the place.” After several donations and lots of hard work, the money put into our building averaged $500 per month in rent and was thus a great deal for the amount of space and location that we were needing to start a new church. Now that we have been here one year, the possibility has arisen that we may not be able to keep our building past May 15th. We are thus in talks with our landlord and looking at various possibilities for the future. Likewise, we are making requests from agencies for grants to assist in the process of purchasing a building. Please keep this process in your prayers. Like so many other things in life, right now we are waiting to see what our next move will be. It may be that we can remain here in our location for years to come. Still, we ask for every prayer available that God can be best glorified in this situation. 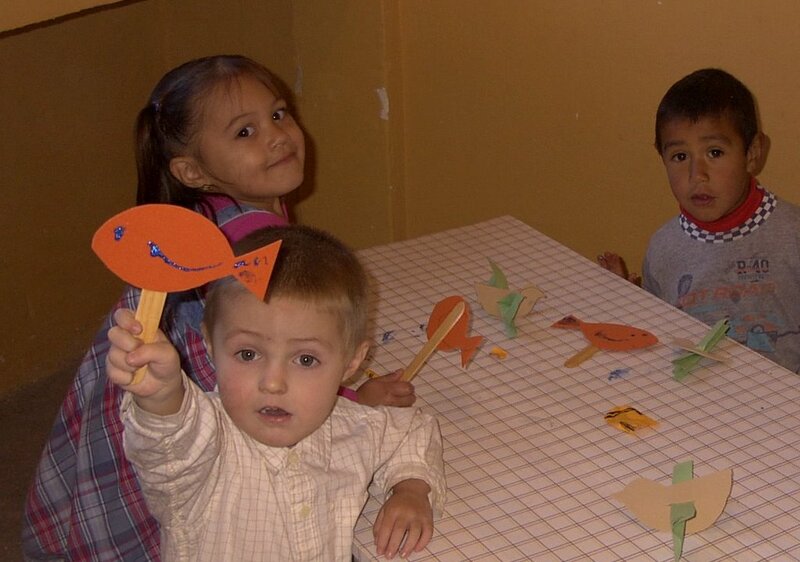 One of the new ways that we will be reaching out to the community in 2006 is through World Bible School. We look forward to this new option that several of you have asked about in the past. As many know, World Bible School is a great tool for touching the local community with Christ, while connecting brothers and sisters in the States to foreign missions. There are many in this community who desire correspondence studies rather than one-on-one studies. 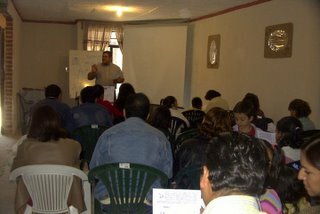 World Bible School will add yet another dimension to our work and looks to be very positive within the Mexican culture. As I read First John yesterday on Valentines Day, I was reminded once again exactly what love is. Love is treating others as Jesus did. As we work here in Mexico, we remember your love for us. It must take a great deal of faith to financially support missionaries. It is no wonder why so many congregations struggle with the balance of having missionaries when missionaries have at times left a bad taste in people’s mouths. There is rarely a day that Jessica and I don’t consider your faith and love for God, displayed towards us. We love you as well, which is why we really do strive to give 100% to our work. Our dream is that your faith in God will be renewed as you see what is happening here. Thank you for lending us that opportunity.